Print collateral design is the polar opposite of website design. It encompasses more form than function, more message than interaction and more restrictions than freedom. We have a deep understanding and appreciation for the power of print. Often, many companies turn away from printing in favor of anything digital. However, we believe that print has an important place in marketing. As a result of this philosophy, we deliver impactful and effective print collateral that enhances our clients overall marketing efforts. 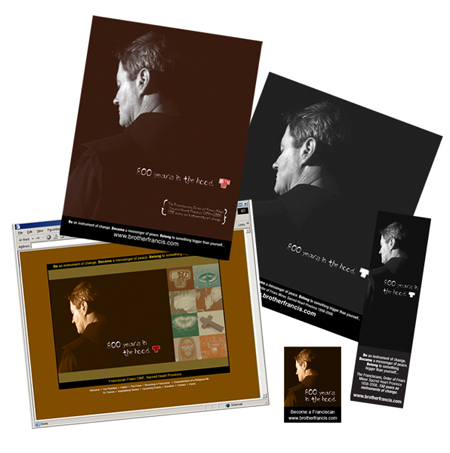 Order of the Friars Minor – Recruitment Campaign including Recruitment Print Brochures, Bookmarks, Postcards and Direct Mail. 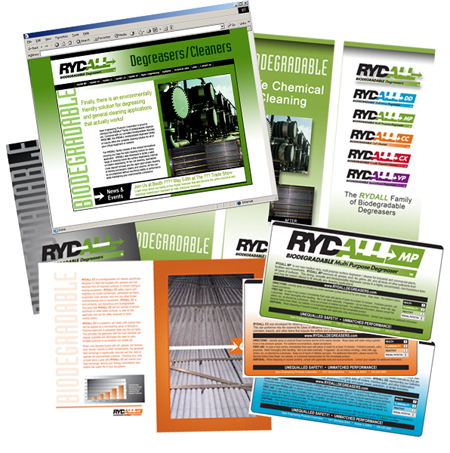 Rydall Degreasers – New product launch including Sales Marketing Brochures / Sellsheets, Print Collateral, Product Labels, Trade Show Graphics Design, Marketing Website Design and Development. 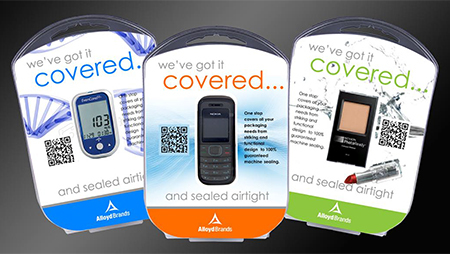 Alloyd is a full-service product packaging design company. Their primary service is to create "blister packs" for products to be displayed in retail stores, from concept to development to shelf. They wanted sales collateral that focuses on their full-service capabilities from concept, to design, to development, to manufacturing, to retail. Evo has developed several marketing collateral pieces to assist in the OFM's recruitment efforts. In this sample, we developed the concept and shot the photography for "800 Years in the Hood" marketing campaign. 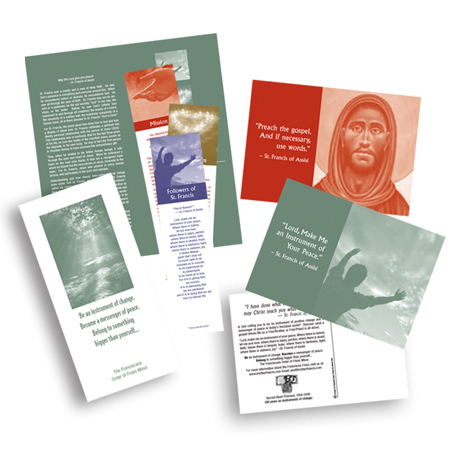 The design and messaging concept is used in postcards, posters, bookmarks, the website and other print marketing collateral to highlight the relevancy of the OFM's mission in today's society. Marketing Collateral for Order of the Friars Minor to promote the "800 Years in the Hood" campaign including marketing strategy development, brand messaging, design concept, website design, website implementation, photography, postcards, direct mail, posters, and bookmarks. Evo has developed several collateral pieces to assist in the OFM's recruitment efforts. In this sample, we developed the brochures, bookmarks, postcards, and direct mail used for their recruitment efforts. Recruitment collateral examples for Order of the Friars Minor Recruitment Campaign includes recruitment brochures, bookmarks, postcards and direct mail. 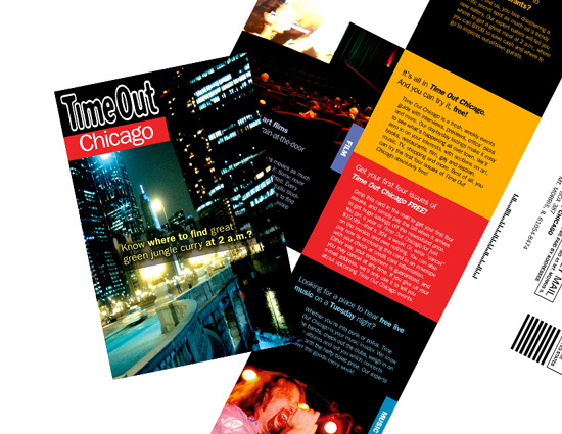 This direct mail is designed specifically for Time Out magazine using a special die-cut that encourages recipients to open the package, understand the differentiation, and subscribe to the magazine. The magazine was launched with great success even against popular free competitive magazines. As part of a new product launch, Evo assisted Apex Engineering Products develop a series of print collateral materials to promote the new line product line. These collateral includes brochure, product labels, sellsheets, tradeshow banners, and the product website. New Product Launch includes Sales Marketing Brochures, Print Collateral, Product Labels, Sellsheets, Trade Show Graphics Design, Marketing Website Design and Implementation.